Blessed with creative skills and talent? Use these for a good cause to Go Abroad with Idol Hands for a mural arts residency program in Costa Rica that lasts for 10 days. Highly enriching and personally satisfying, it allows you to experience the warm culture and rich environment of Costa Rica while channeling inspiration from these new experiences to collaborate on a large-scale public mural with several other artists from around the globe. Program fee covers all required materials for the project as well as additional accommodations for travel and leisure, as outlined below. Our next Go Abroad project will take place from June 21-30, 2019 in Los Chiles, Costa Rica. Applications are currently open until April 30, 2019. To join our next adventure, contact us for additional information. Experience the Costa Rican "pura vida" way of life and Take time to be inspired By the peace and quiet. Use your talents for good and create a lively mural to be enjoyed by new friends abroad. Create unforgettable memories while enjoying the natural wonders of sunny and warm Costa Rica. Hike along a river and experience the wildlife up close while climbing a volcano. Practice your Spanish while fishing, kayaking, horseback riding, or eating with the locals! 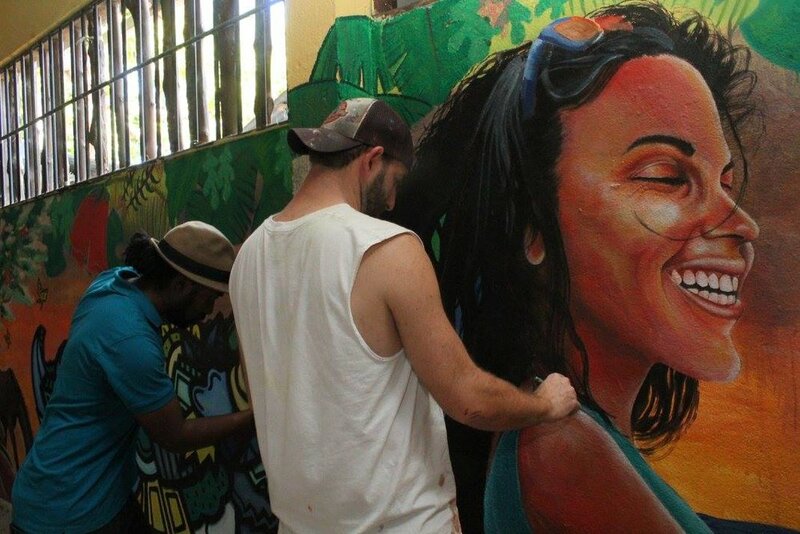 Go Abroad with Idol Hands is a truly unique mural arts residency program devised to give artists a once-in-a-lifetime opportunity to create a public mural art project abroad. 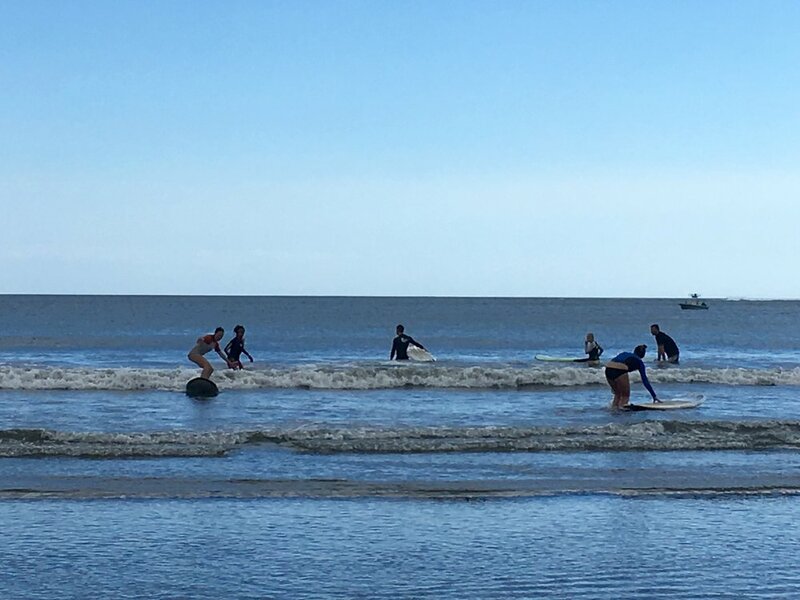 We took our first select group of artists abroad to Costa Rica in January 2017, for an unforgettable trip full of art, adventure, nature, new friends, and priceless memories! In January 2019 we returned with another incredible group of artists to tackle our largest wall abroad yet, located at the courtyard of our host organization, Asociacion CREAR’s, new community center and courtyard. In just ten days we explored the arts and culture in the capital of San Jose, cruised to Samara for sun and surf, and devised and painted over 500 square feet at the entrance of Samara, creating a vibrant focal point for visitors and locals alike as they enter town. On Saturday, January 19, 2019, we unveiled the mural at a proper fiesta hosted by Asociacion CREAR to inaugurate the new space. This was by far our most challenging project to date, but we couldn’t be more proud of the work put in and the result that came out of it. "This is my second trip back to the beautiful beach village of Sámara, and I am bringing some friends with me this time. Accepting the role as lead artist for this year's mural, I am looking forward to the talented individuals that have signed on for this project. This will be a challenging yet fun process to paint alongside different styles interlaced throughout the work. My last visit left a very positive impression on me of what people are capable of while working in unison and, of course, the tranquil settings in this beach town paradise. As a commercial muralist for the last four years, this is a great opportunity to explore the world and leave your mark. I hope the locals will enjoy the work just as much as we will making it. ¡Pura Vida!" "I am a mixed media artist in search of a new adventure. Traveling and exploring has been an integral part of my work, whether it's a drawing, painting, photography or mix of the bunch, and I'm looking forward to seeing the landscape of Costa Rica. 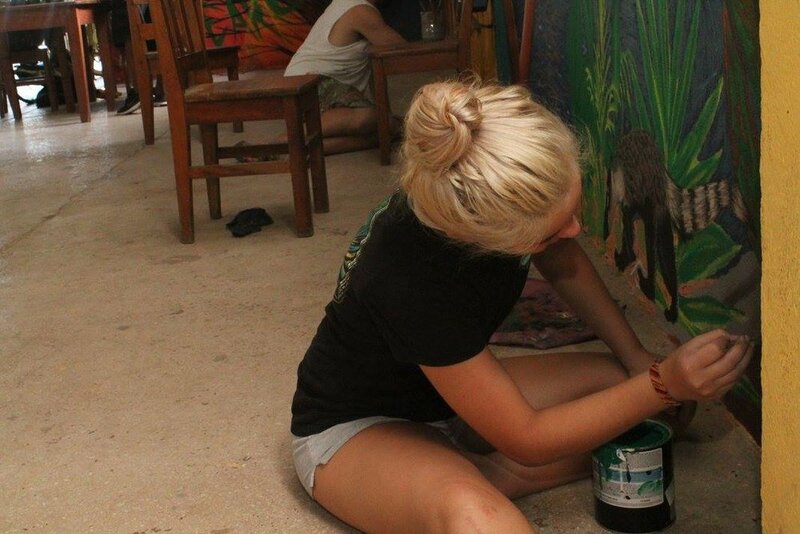 I'm also excited for the service aspect of this trip and being able to use my talent and skills to collaborate on a mural that will not only beautify the area, but also become natural conduit, connecting different people from different parts of the world through the art." “My name is Kayley and I’m a 23 year old from Memphis, TN! My parents knew I was an artist the first time I took crayons to their freshly painted walls at four years old. Ever since then, I’ve used art as a way to decompress and satisfy my need for creativity. I try to incorporate it in my everyday life as much as possible. While my art spans across many styles, I find a comfort in the realistic qualities and abstract concepts of surrealism. The first day was spent in the capital, San Jose, exploring the art on the streets and in the museum, before we set off for Samara. Once we were all in Samara, we embraced the culture and explored the land by going zip-lining, hiking, surfing, and out on an incredible sunset boat ride. We ate like the locals, siesta'd like the locals, and dove into our project the following Monday. After working together to design the mural, located in the local nonprofit, Asociacion CREAR's, community center; we began painting with help from Asociacion CREAR's girls empowerment club, and the extra special addition of Philadelphia artist, Alloyius McIlwaine. The final result was presented as, "Paraíso", on January 13, 2017. Get to know the awesome crew who joined our first adventure abroad, and e-mail info@idolhands.org to join us on our next adventure! 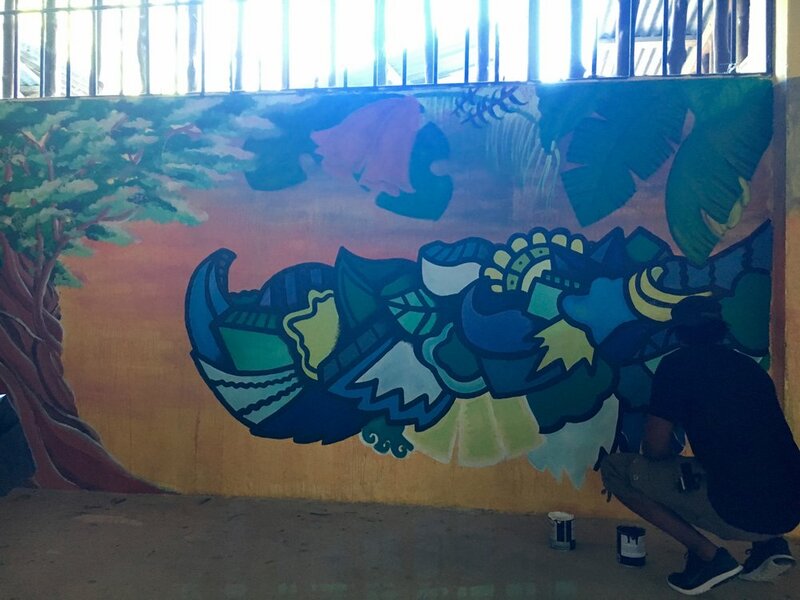 "On my own, I've traveled throughout Costa Rica, Nicaragua and Panama, embracing the culture and creating public murals from all that I had seen. To date, I've painted nearly 50 murals throughout four countries. It's an amazing and life-changing experience, and I wanted to share that with others. I can't wait to see what we come up with by putting our creative forces together." As an elementary school teacher, Liz is a natural leader. At her last school she was a coach for Girls on the Run, a unique program designed to teach young girls valuable life skills through conversation-based learning while staying active. 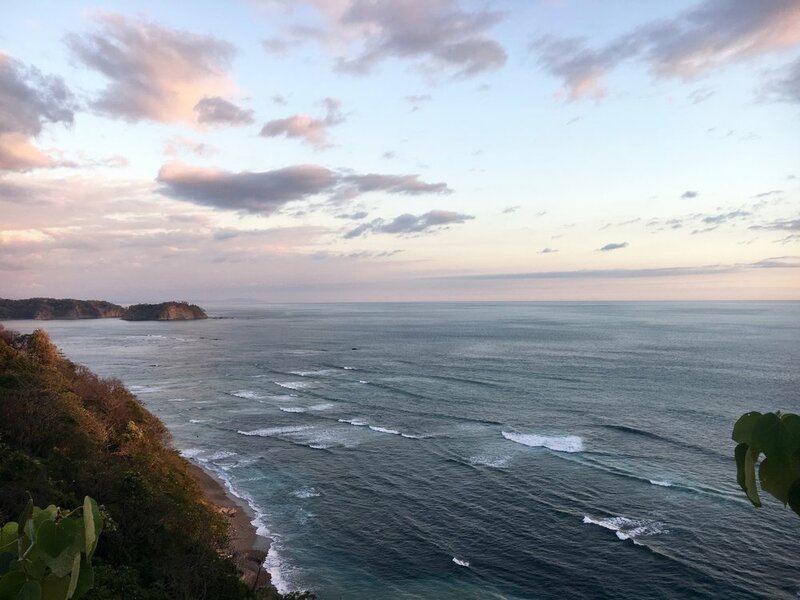 Liz caught the travel bug at a young age and is excited to return to Costa Rica to help lead this project and have an opportunity to work with the local girls empowerment club. Cassie Larson is a freshman at Delaware College of Art and Design, and a veteran of the Newark Beautification Project. She has an innate gift for art inherited from her mom; they have been creating and painting together for as long as she can remember. She loves the expressive nature of art and the ability it has to inspire a community when done in public places. Cassie has helped paint four large-scale public murals as part of the Newark Beautification Project and has become a valuable asset to the team. 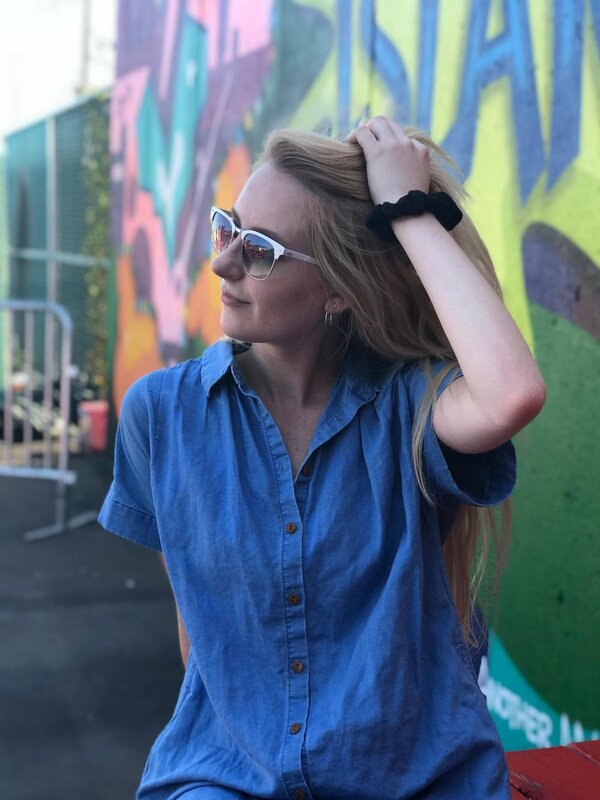 Her passion combined with her natural and acquired skills will be put to good use as she works with us on her first public mural art project abroad. "Hi! My name is Hollie and my weakness is ice cream. Combine art and ice cream and I'm done for. I've been involved with art for what seems like forever! It's my first true love. My second is traveling, and to be able to combine these two is a dream come true!" "Growing up, I always was doodling or sketching something in class or at home. Naturally, the more I kept drawing and painting, I developed different techniques. Recently, I have gone out on my own to start a mural painting business to beautify the city I live in and abroad. Mural art in public spaces adds to the fabric of society and enriches the culture that is living there. There's a deep-rooted sense of human emotion and behavior that someone can see in my work and think how it relates to them. Even if we have different experiences and viewpoints in our lives, the subjectivity of a piece can go so many ways and I love the fact that someone I don’t even know can relate to the public works I’ve done. Art has the ability to connect us all no matter where you are on the planet. 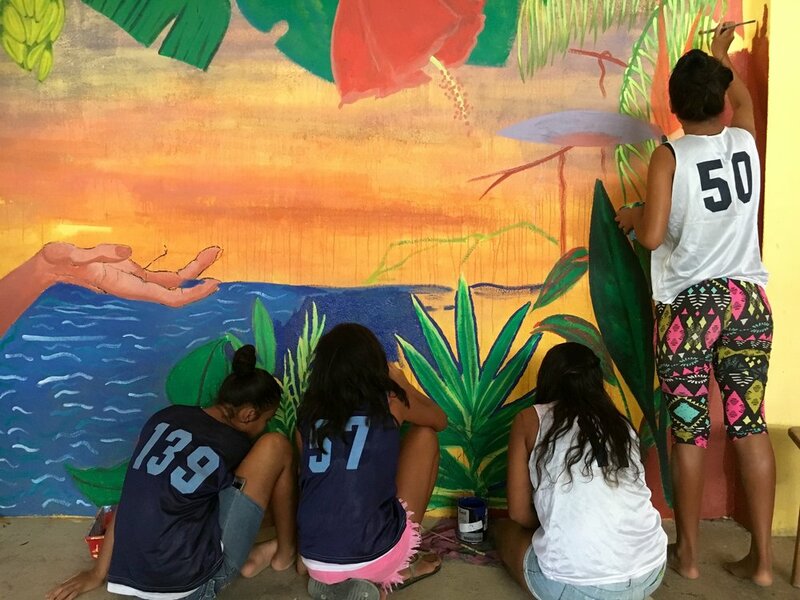 This trip will be a great experience for a new perspective in so many aspects and I hope the locals enjoy what our mural team comes up with." Philadelphia native Alloyius McIlwaine (CEO/Founder of Cultures Clothing Co.) is a self-taught artist that has been creating art since the early age of three. Alloyius' artwork incorporates aspects of graffiti, street art, pop art, contemporary art, comic book art and abstract art. Alloyius specializes in creating freestyle art. This style of art is serendipitous in nature...with no predefined concepts, ideas, or rules. The art that is manifested on the canvas or wall is influenced by mood, environment and emotion. Alloyius’ work has been featured at Art Basel in Miami, FL, Gallery 38 in Los Angeles, CA and in Philly Current Magazine; as well as on reality shows such as Tosh.0 (Comedy Central), Mob Wives (VH1) and R&B Divas of LA (TV ONE). Alloyius has recently gained recognition on an international scale while painting murals in France and Morocco. Some of Alloyius' most well known projects include: the "Skid Row Cornucopia" mural (Los Angeles, CA), the "Reclaim the Classroom" mural for Mastery Connect (in Salt Lake City, Utah), the "Twisted Splatters" mural for Coda Night Club (Philadelphia, PA), the Dave & Busters (Philly) Dockside Mural, the “Protect the Children” mural in Casablanca, Morocco and Alloyius’ three murals in Vitry-sur-Seine, France. See more of Alloyius Mcilwaine's work at: alloyiusmcilwaineart.com, or on my facebook page for my art, http://www.facebook.com/alloyiusmcilwaineart.